Match 'em up while discovering textures. Match the 10 different textured circles with the same texture on the wooden board. 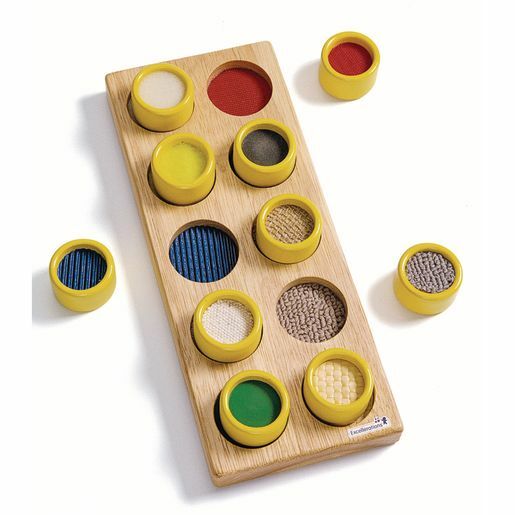 Teaches tactile differences and sensory perception. The baseboard is 11"L x 4"W, and the pieces are 1-3/4". Colors may vary. SCI (P) Recognize body parts and know their location (e.g., arm, eyes, etc. ).